Sony has announced Australian availability for the new, lightweight α6400 mirrorless interchangable lens camera. “The α6400 represents another important step in the growth of Sony’s overall interchangeable lens camera lineup,” said Neal Manowitz, vice president of Imaging Solutions at Sony Electronics. As mentioned above, the hook here is that the Sony α6400 is an update to the popular and portable α6000 that leverages and ropes in some of the technical advances the company have made with more expensive Alpha-series hardware like the Sony α7r and Sony α9. The Sony α6400 is equipped with a 24.2-megapixel APS-C sized image sensor and an upgraded BIONZ X processor. It supports standard ISO ranges up to ISO 32000 for video, and is expandable up to ISO 102400 when it comes to the stills. Sony claim the α6400 "boasts the world’s fastest autofocus (AF) acquisition of 0.02 seconds, while also introducing the new advanced “Real-time Eye AF” and ”Real-time Tracking” capabilities." It supports high-speed shooting at up to 11 FPS with AF/AE tracking, 4K video recording and also features a fully 180-degree tiltable LCD touch screen. Sony are bundling the α6400 with a 16-50mm F3.5–5.6 lens but it should support most compatible E-Mount lenses. 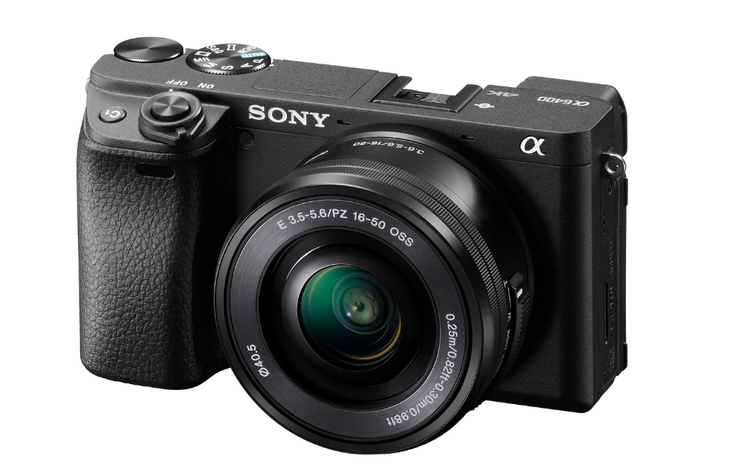 The Sony α6400 will be available in Australia from February 2019 for a suggested retail price $1499 or $1699 as part of a kit that includes a 16-50mm F3.5–5.6 lens.